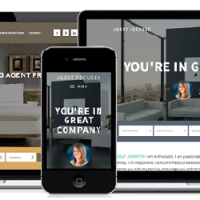 Thanks for purchasing the Winning Agent Pro Theme! Ready to get started with setup? This tutorial will walk you through setting up the theme to look like the Winning Agent Pro theme demo. Simple Social Icons. Note that if you use IDX Broker and the icons do not appear on IDX Broker page, please use IDX Broker Simple Social Icons instead. Once you have completed the pre-installation steps, the Genesis Framework is installed, and you’ve downloaded the theme zip file to your local machine, you are ready to install the Winning Agent Pro theme. Use the Upload button and then the Browse button to locate the theme zip file on your local machine. Go to your WordPress admin dashboard and select Appearance. Activate the Winning Agent Pro theme. 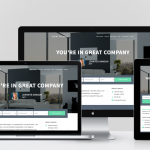 The Winning Agent Pro theme supports three layout options: Content/Sidebar, Sidebar/Content, and Full Width Content. The Winning Agent Pro demo uses the Content/Sidebar layout. Set the “Limit content to __ characters” option to 400 to look like the demo. 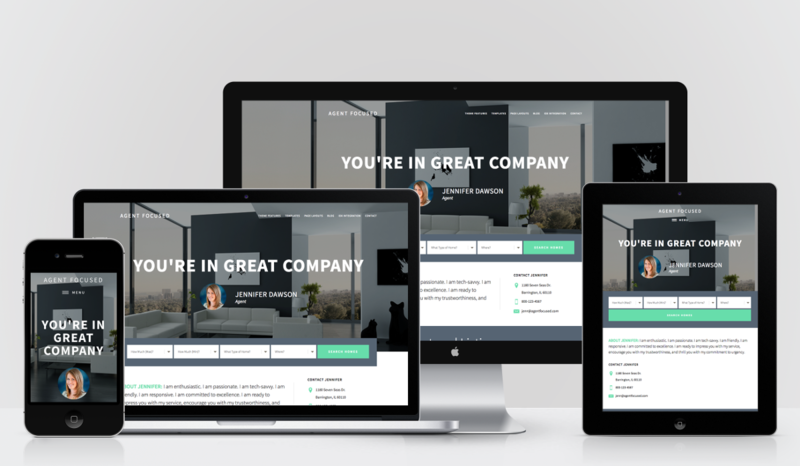 The Winning Agent Pro theme uses a backstretch background, meaning your image will scale to fit the entire screen. An image with a 3:1 width:height ratio will look best, for instance an 1800w by 600h image. 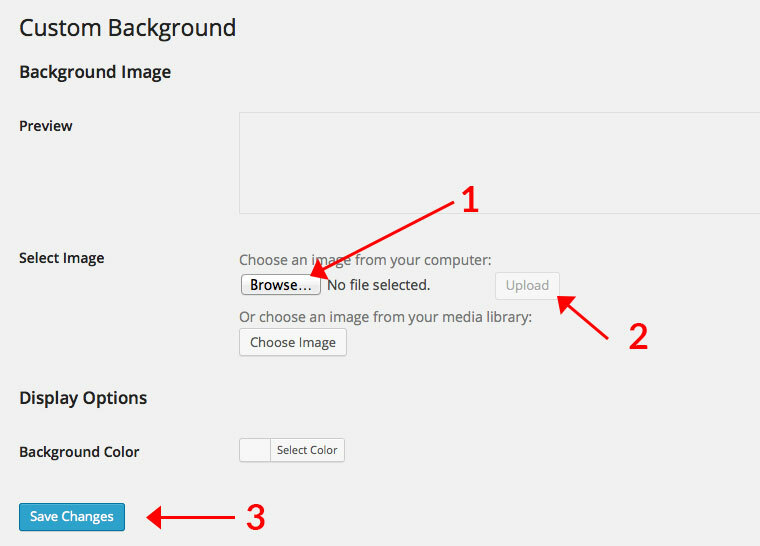 To set the background image on your site, go to Appearance > Background. Browse your computer for the desired image and click Upload. 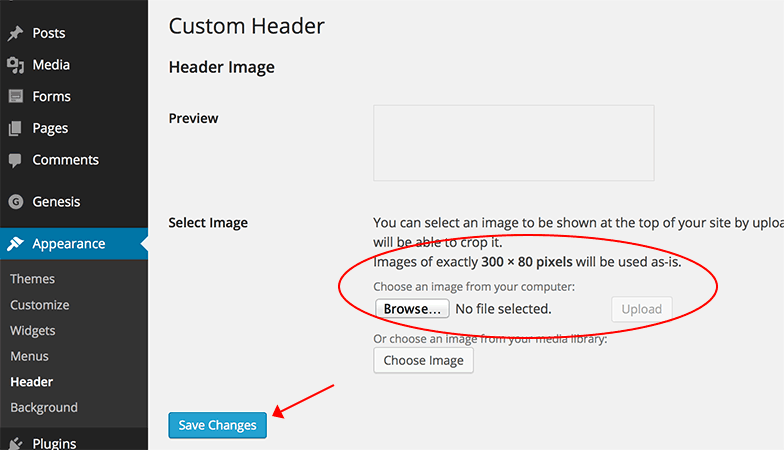 You don’t need to configure any other settings – Just click Save! The site title and description for your site can be set by navigating to Settings > General. The Site Title will display in the upper left corner of your site. The Tagline Setting does not display in the theme, but may show in your browser tab, depending on your site SEO settings. Be sure to click the “Save Settings” button to preserve your changes. To add the additional style to custom title, like the demo, check out this tutorial. 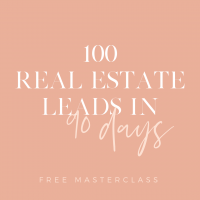 If you prefer a Logo Image rather than a text based Site Title, you can use a small logo style image that displays in the upper left corner of the site. 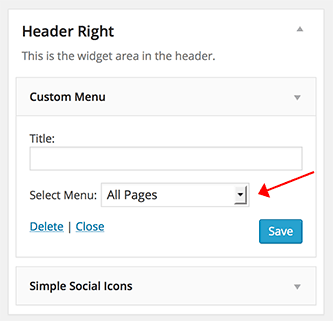 Navigate to Appearance > Header menu in your WordPress admin panel. Click “Browse” and Navigate to the image you would like to use for a Logo. Images of exactly 300 × 80 pixels will give the best results. Other sizes will be cropped in the upload process to create an image of the correct size. Click “Upload” to copy the image from your computer to your website. The Winning Agent Pro theme supports the Primary menu location provided with the Genesis Framework, however the demo does not utilize this menu. To create your custom menu, go to Appearance > Menu. Once you have saved your custom menu, click on the “Manage Locations” tab and select your custom menu from the Primary Menu dropdown and save. Your menu will show beneath the header. 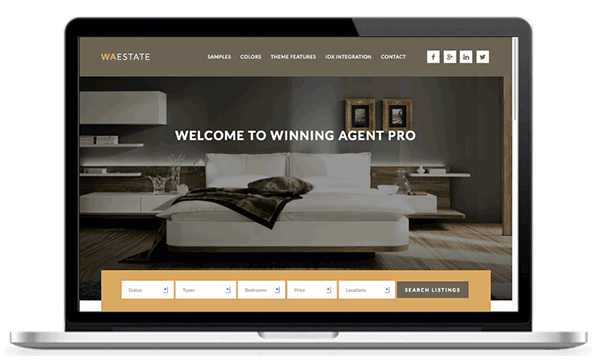 The Winning Agent Pro theme demo is configured to display a custom menu and Simple Social Icons in the Header Right widget area. To create your custom menu, go to Appearance > Menu. Once you have saved your custom menu, go to Appearance > Widgets tab and place the Custom Menu widget in the Header Right widget area . Your menu will show to the right of the Site Title. The demo uses the Simple Social Icons plugin to display social icons in the Header Right widget area. 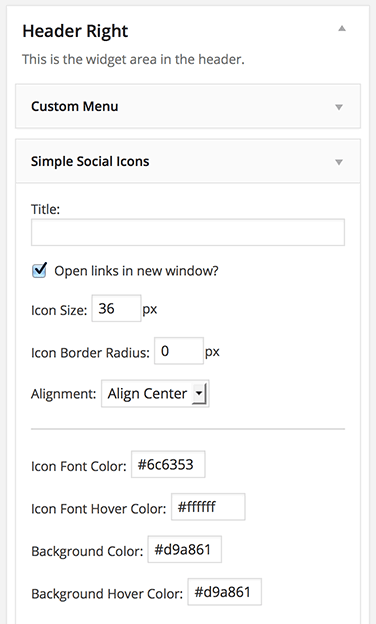 Drag an instance of the Simple Social Icons widget into the Header Right widget area and configure the settings. This widget area appears on all pages on the site (home page included). The demo uses the AgentPress Listings widget. You will also need to create custom taxonomies with the plugin, such as Price, Location, Bedrooms, Status (i.e. For Sale, Sold), etc. 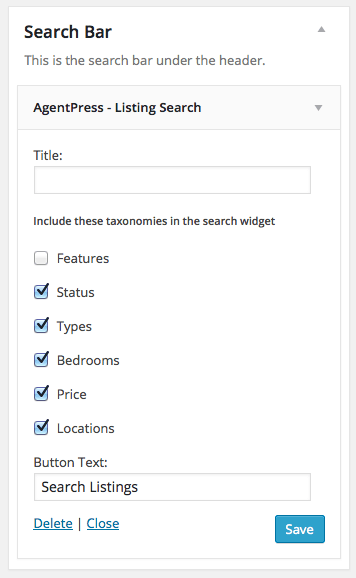 Each taxonomy you create corresponds to an available search drop-down in the AgentPress – Listing Search widget. 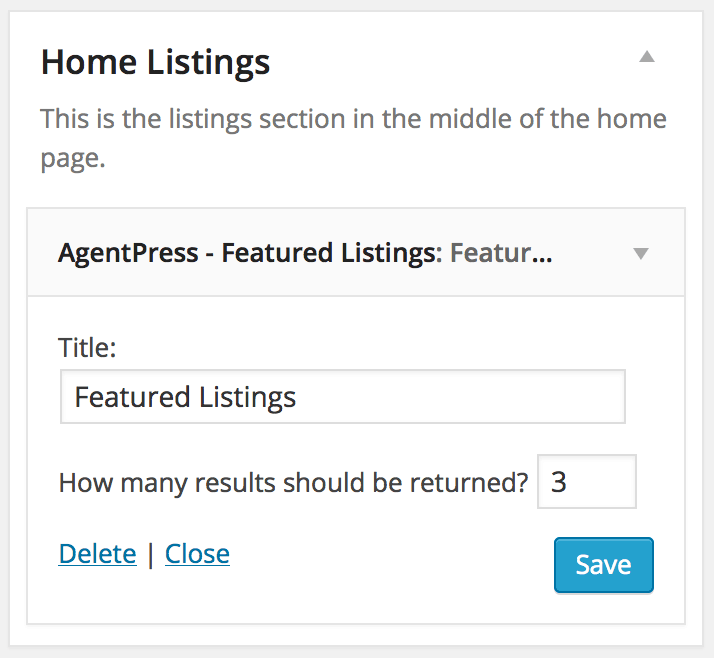 Once you’ve created the taxonomies and your listings, go to Appearance > Widgets and drag the AgentPress – Listing Search widget to the Search Bar widget area. Select the searchable taxonomies and save the widget. Note: You can include other content or an IDX search widget in this space, but custom styling may be required. Click here for a video tutorial of how to set up the search bar. This widget area appears over the background image on the home page. The demo uses a Text widget with just a widget title, no additional text. 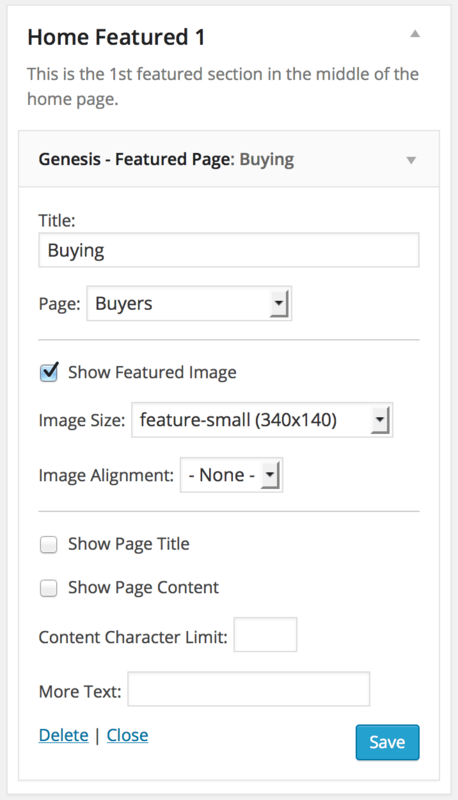 Note: In order for each of these areas to link to a featured page, the featured page must have a featured image or an image within the page content. Drag an instance of the Featured Communities widget into the Home Communities widget area. For “Number of Posts to Show”, enter “4”. 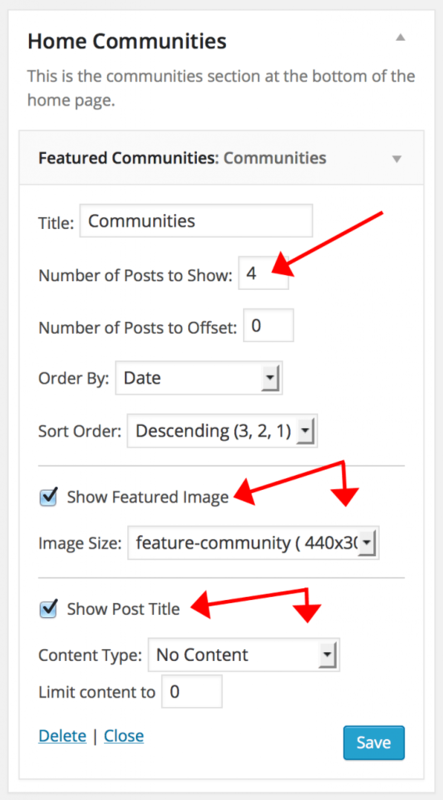 Check the “Show Featured Image” checkbox and select the “feature-community” size from the drop down. 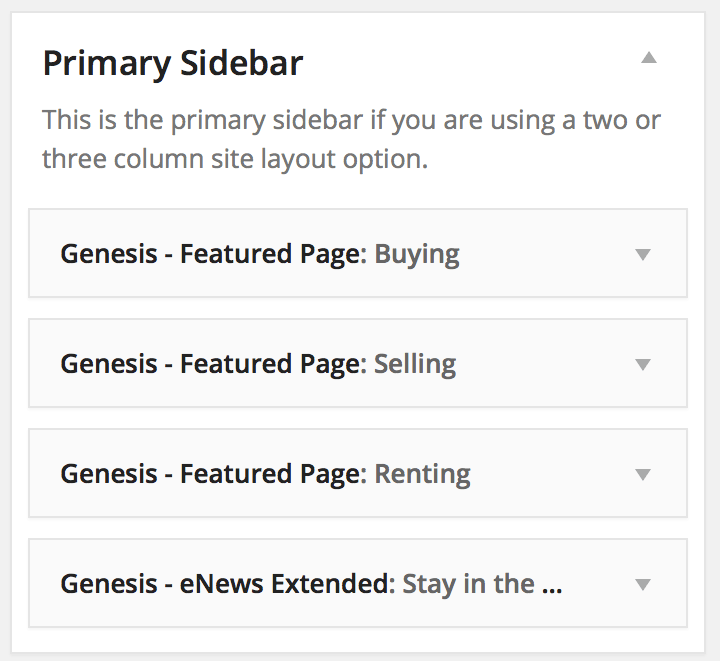 The following widgets are used in the Primary Sidebar area that displays to the right side of the content area. 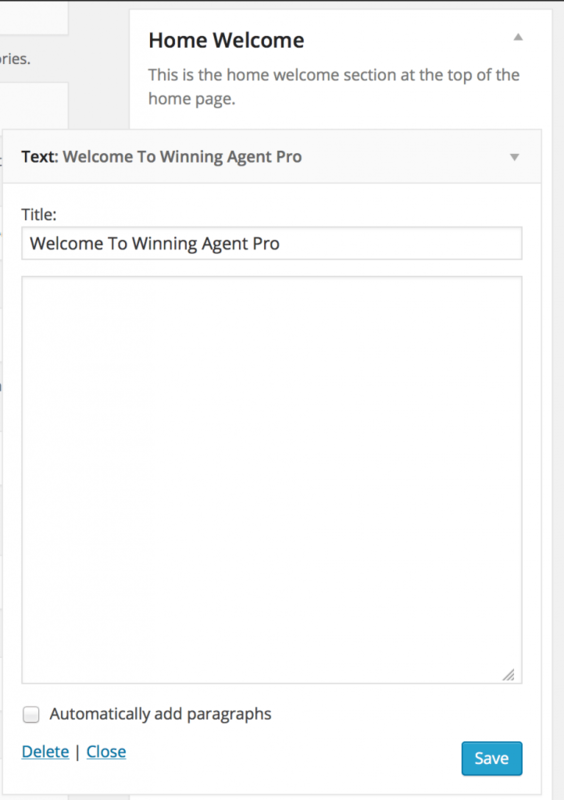 The Winning Agent Pro theme demo uses the included 2 Footer Widget areas. The following outlines the widgets used in the demo, though you may use any widgets you like in these areas. 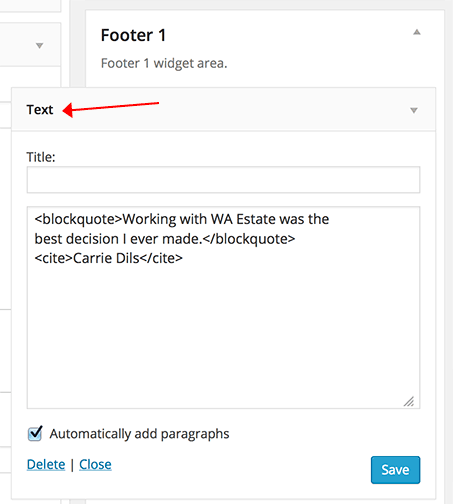 The second footer widget area is approximately 1/3 the width of the footer. The Winning Agent Pro demo uses the Genesis – User Profile widget that comes with the Genesis Framework. In the demo, there’s a horizontal list of Communities across the bottom of the page. This section is a custom menu assigned to the Secondary Navigation area of the theme. Assign your menu to the Secondary Navigation Menu area. 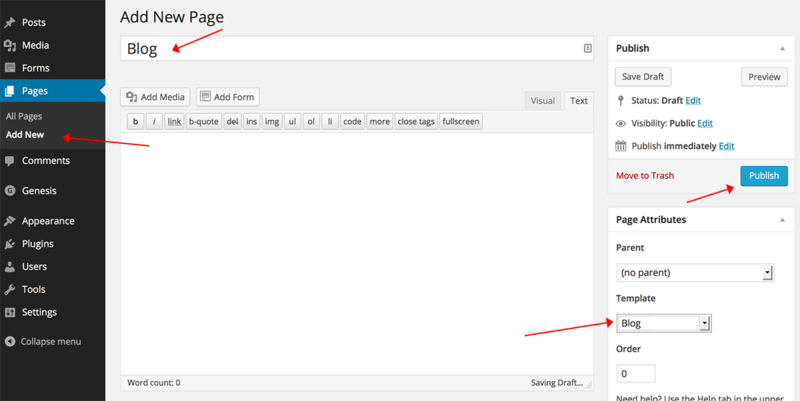 In the right sidebar of the Page edit screen select the Blog option in the template dropdown menu. Leave the Content of this page blank, it will not be displayed when using the Blog page template. Once the page has been published you can view the page to see a blog style list of recent posts. Link to this page in the custom menu of your choice. The Winning Agent Pro theme has a built-in “button” style that you can apply to regular links to give the appearance of a button. Your button will automatically inherit the color of your selected theme color. Give yourself a pat on the back, ’cause you are DONE! Now it’s time to start adding your content or customizing the Winning Agent Pro theme however you desire. Have fun!